* Set up your own soft corner anywhere you choose. * Back rests are specially shaped for developing muscles. 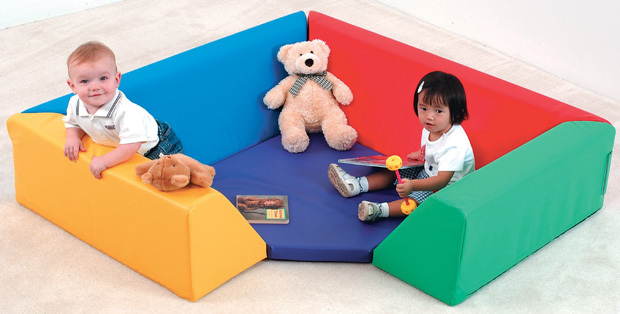 * Great for gross motor play or just laying around! * Dimensions: 54" x 54" x 13"